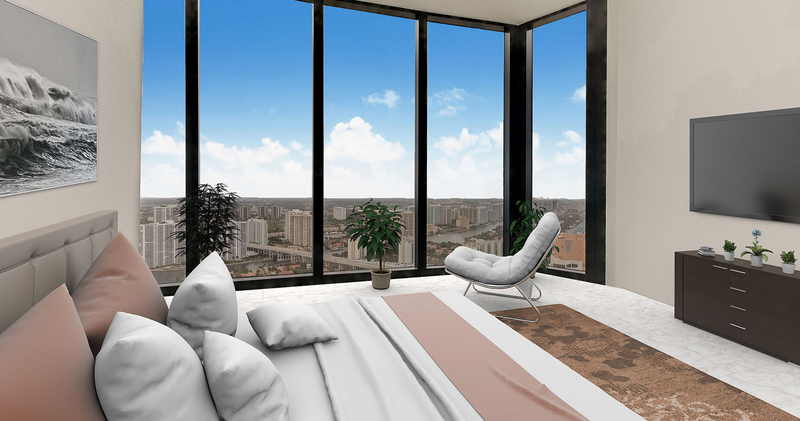 Disclaimer: Disclaimer: This website is independently operated by Million and Up Realty Miami, it is intended for potential buyers and it has no affiliation with the developer. Truly offering the best of all worlds for automobile enthusiasts and luxury seekers alike, there is no other venue like Porsche Design Tower. 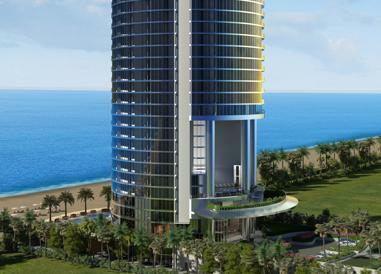 This condominium is unique for the inclusion of a robotic parking garage, featuring 284 parking spaces for an exclusive collection of 132 oceanfront sky residences. 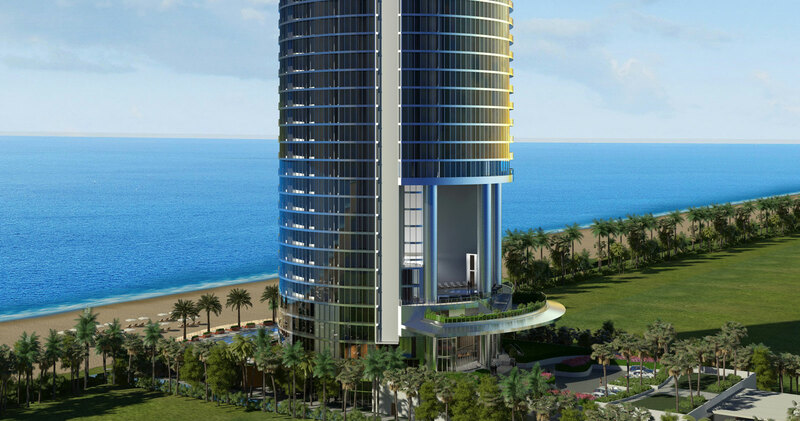 Consisting of flats and double-height layouts, units include expansive living balconies with sweeping ocean and Intracoastal views, floor-to-ceiling glass throughout, and every imaginable luxury within. Porsche Design proudly introduces P'0001 – Engineered luxury meets real estate. 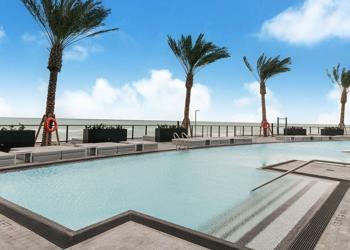 Exit the elevator directly into your apartment and you are immediately embraced by breathtaking panoramic views. 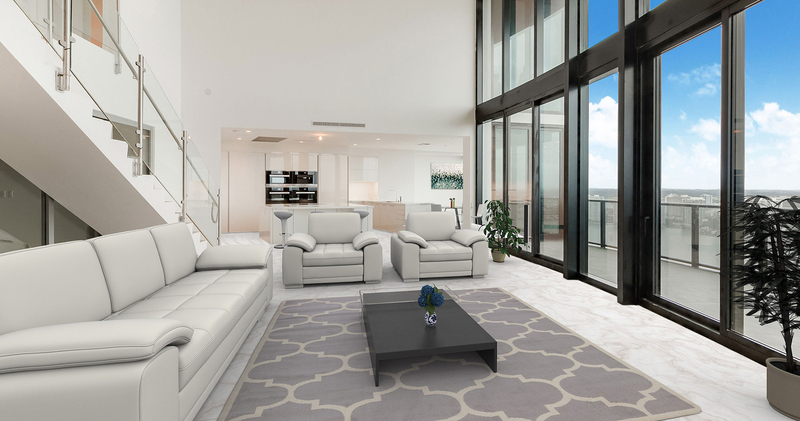 Residents will experience interiors that are in harmony with the regional landscape and natural environment which lies just outside their unparalleled sky residence. 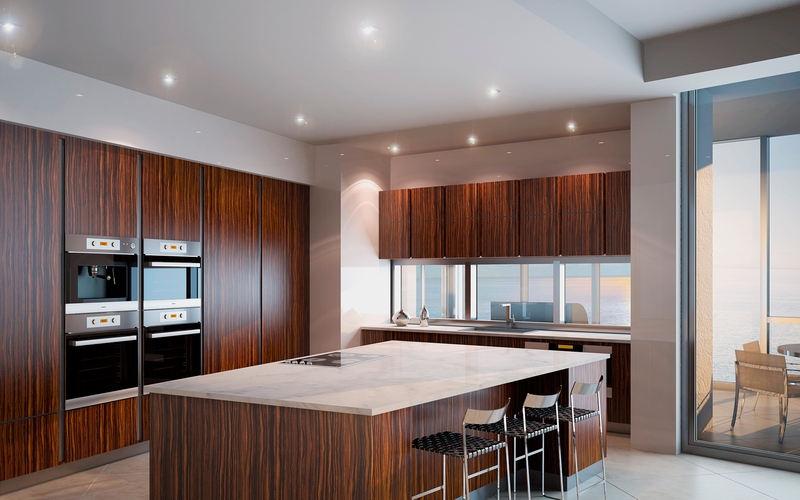 All residential layouts feature the finest European design finishes, along with exquisite European cabinetry. Superior elements in the kitchens and baths include Poggenpohl kitchens, Dornbracht fixtures, and Miele appliances; as well as Toto automatic toilets featuring integrated bidet functions within the master bedrooms. 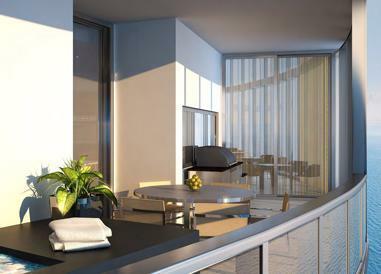 Typically reserved for only the most elite of penthouses, Porsche Design Tower Miami affords its residents a new dimension in outdoor living. Most residences feature balconies from 800 to over 1,600 square feet, allowing for a true outdoor lifestyle, in complete privacy. 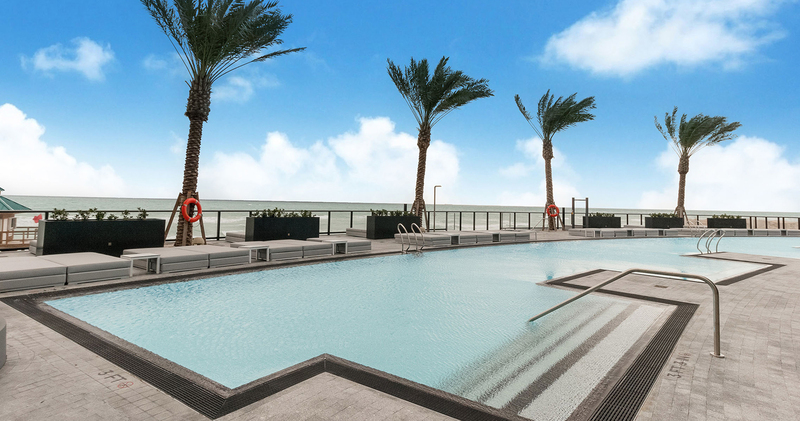 Almost all of the balconies are equipped with private pools and summer kitchens, creating a luxurious outdoor living environment which enables residents to enjoy relaxing pleasures 365 days a year. Upon being scanned at ground level, drive your vehicle onto a 'turntable' and turn off the engine. The turntable aligns the vehicle with a car lift and as the lift opens, a robotic arm pulls the vehicle into one of three glass car lifts. Enjoy your quick, exhilarating ride home. The utmost level of privacy is afforded. You are in control. Your vehicle is self-accessible, allowing you the freedom of entry and departure without notice. A level of privacy never afforded before. The Porsche Design Tower team agrees that the development of the automobile is an example of art meeting function. We anticipate that our buyers will feel the same way. And to that end, nowhere in the world does art meet function in the same way. 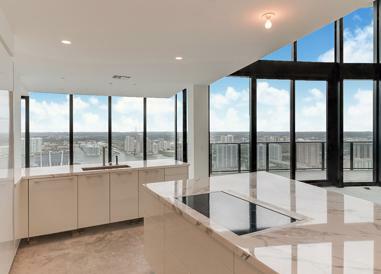 In most units, a glass window between the living quarters and the sky garage allows residents to enjoy viewing their vehicles from the comfort of their homes. 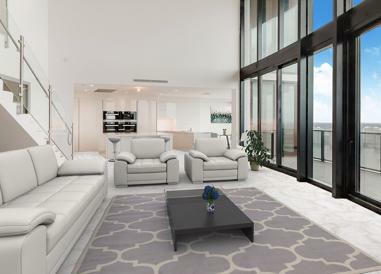 A sunset terrace with innovative design, complemented with twin over-sized spa tubs showcases majestic twilight views and the impressive glass-enclosed car observatory which spans eight floors high. A state-of-the-art spa and fitness complex features an oceanfront exercise room equipped with cutting-edge machines, yoga room, massage treatment rooms, a hair salon featuring manicure and pedicure stations and a treatment room complete with Vichy showers. Sq Ft Range: 3,800 - 17,000 Sq. Ft.